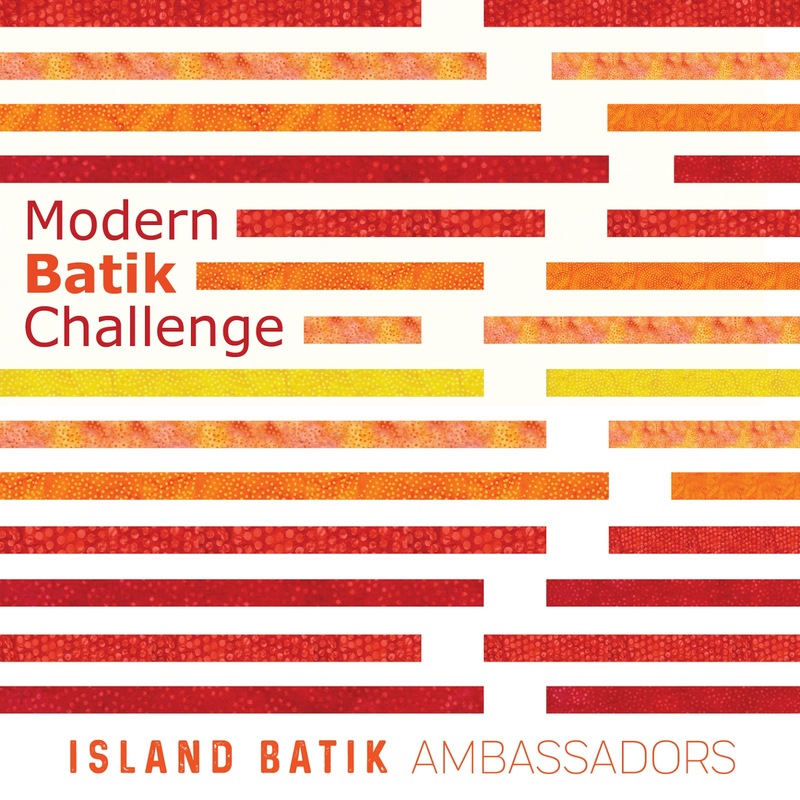 This month's challenge for the Island Batik Ambassador group was to make a Modern Quilt. This year I was really excited about working on this theme - and had an idea right off the bat! 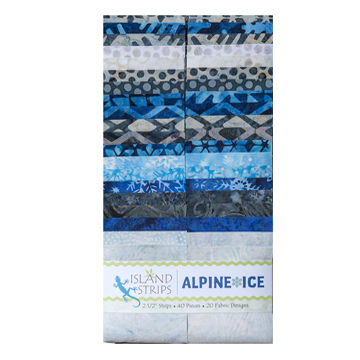 From the minute I saw the Alpine Ice strip pack in my box I knew I wanted to try to make a quilt inspired by the Delectable Mountains pattern. I had an idea for creating the block using strips, and went to work figuring it out. This strip pack was perfect because it had 20 lights and 20 darks! The blocks went together really well, then came the challenge of deciding my layout. I decided to focus on alternate gridwork to make my quilt more modern, but was not very satisfied with my initial attempt. After consulting with my fellow Ambassadors I turned the blocks sideways and was much happier with the look. That and a little more rearranging of the blocks and I was finally happy with my layout. 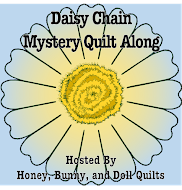 Then came the quilting! I was struggling a bit there as well, but as usual the Ambassadors were so helpful and encouraged me to keep adding more quilting. They were definitely right! And the Hobb's Heirloom batting provided in my Ambassador box was wonderful to work with. I really love the way the slight loft it has added a wonderful texture to my quilt. Truthfully, it's been a while since I've used Hobb's batting and I had forgotten what a wonderful product it is! I chose to use the medium blue Aurifil 40 wt thread that I also received in my Ambassador box. I use a lot of their 50 wt threads for quilting, but I am definitely being drawn to the 40 wt thread lately - I just like the way it makes the stitches a little more defined. For the back, I made one half dark and one half light - love the way the quilting shows up so nicely! And here is my finished quilt! Definitely a nice modern look to this. It ended up at 48 x 48. I learned a lot from the process of designing and making this quilt. I'm really glad I reached out for advice when I felt stuck! At times I felt discouraged because this quilt wasn't quite what I pictured in my mind, but in the end I am totally thrilled with it and am glad I didn't give up. Sometimes you just need another opinion, or some good advice to get to the finish line! I was so happy with the end result that I decided to write this up as a pattern: Mountain Dawning It is available in my Etsy shop, or on Craftsy. I've also included some other layout variations - the alternate possibilities are really amazing as well! 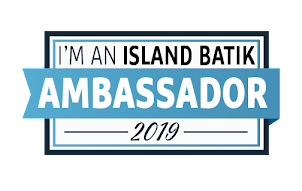 Check the list of 2018 Island Batik Ambassadors to see more projects! I know that feeling, Pamela. Some quilts just don't want to cooperate while they're in progress. But I find they usually work out in the end. 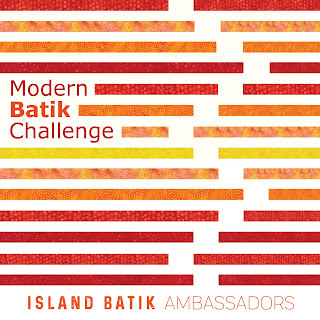 This is a beautiful quilt, the design and the colors of the batik make it spectacular! I'm so happy you got good advice and carried it through, it is a great quilt! Wow that turned out fabulous. Love how it looks. Your finished quilt is perfect! Fun to play around with the layout. Always good to get another opinion, looks better on its side.